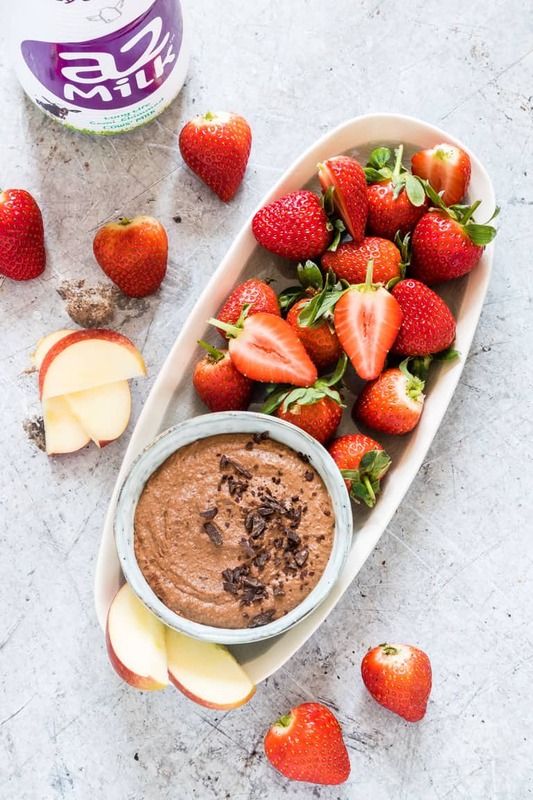 Chocolate Hummus is a dreamy and sweet dessert hummus that's actually healthy (but no one will know it). 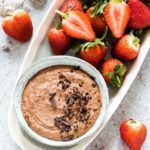 Serve Chocolate Hummus at Easter gatherings when you'd like to offer a chocolate treat without the guilt or just as an anytime dessert. Suitable for Gluten-Free diets. This is a sponsored post done in cooperation with a2 Milk™. However, all opinions are my own. Chocolate Hummus. You read that right. If you are a chocoholic, this is a dreamy recipe. Creamy hummus with a gorgeous chocolate flavour accented by bits of dark chocolate in every bite. Definitely dreamy. The idea for this dessert hummus came about as a leftover kind of thing. (Sometimes the best recipes start as a leftover kind of thing.) Leftover 85% dark chocolate bought from the local bakery plus leftover chickpeas from a spiced salad recipe I was trying out. 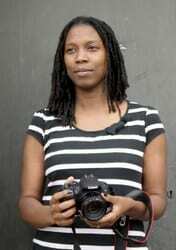 Now here is the science bit, Bintu style. 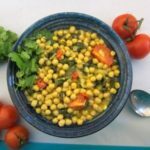 Chickpeas: healthy and good for you. Dark chocolate: totally beyond good for you. Maple syrup: a little sweet goodness. a2 Milk™: a household favourite. 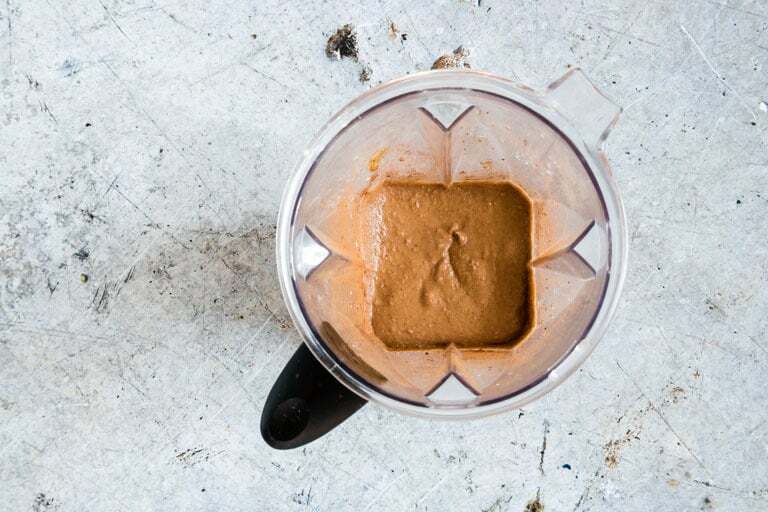 Almond butter and cinnamon: well they just rock. I know these things. 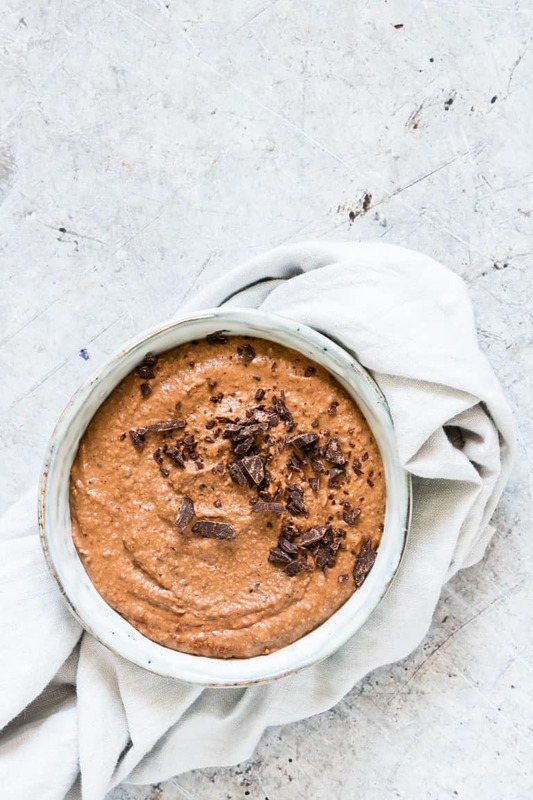 So really, you have absolutely no reason not make this Chocolate Hummus right now. While this Chocolate Hummus recipe came about as a leftover thing, it also came about as a ‘what do I serve for Easter‘ thing. Peeps, if you want an Easter recipe that will wow your guests, this is it. And the best part is it’s healthy. Yeap, a healthy Easter treat… almost too good to be true (but it’s not). Chocolate Hummus has one of the best parts of Easter (erm chocolate is one of the best parts of Easter, right??) but without the guilt. 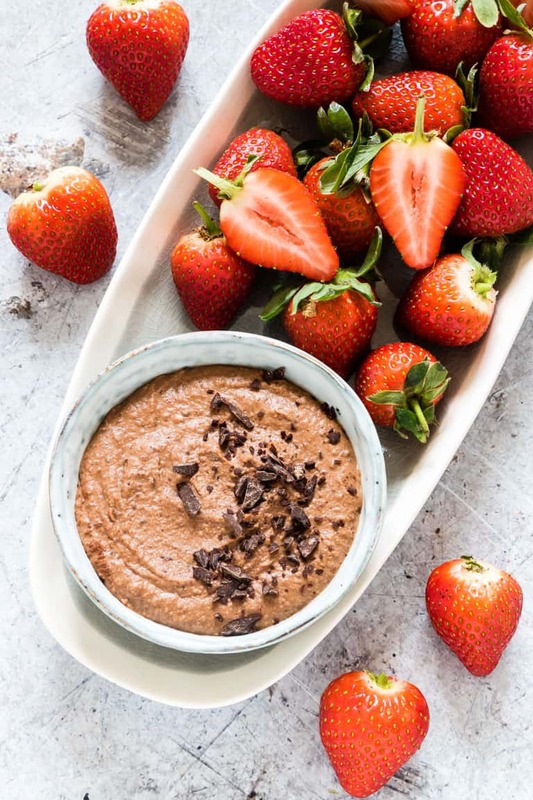 Instead of eating sugar-heavy chocolates and candies, your guests can indulge their chocolate cravings in this healthy sweet hummus. What I especially love about this dessert hummus is I can serve it to my sister who’s coming to visit for Easter because it’s made with a2 Milk™. I’ve told you guys before that my sister’s digestive system does not like regular milk but she does just fine with a2 Milk™. If you haven’t heard of a2 Milk™, it’s an easy-to-digest milk that has only the A2 protein and not the A1 protein. … and whiz for a minute. If using a blender, you will need to add an extra 3-4 tbsp milk to get the blender going. … and blend into the consistency you desire. If you want your hummus less thick then add in a bit more milk. How to serve: Serve with strawberries, apple slices, slightly salty crackers, crusty white bread, banana slices… maybe even cheese (if you’re feeling adventurous). Where to serve: Easter gatherings, children’s parties, grown-up parties, summer picnics and on your sofa with a spoon and a good book. 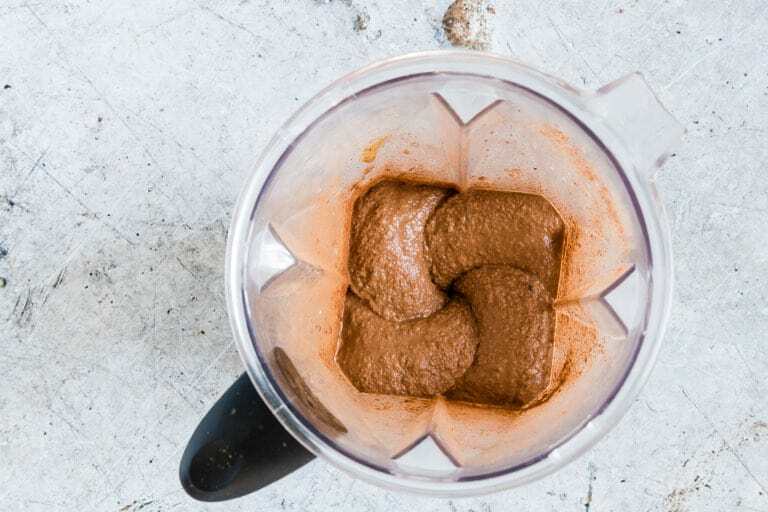 For a more chocolatey hummus, add an additional 1 tbsp cocoa powder. Peanut butter lovers can use peanut butter instead of almond butter. Double or triple the recipe for a big crowd. If you plan to serve a lot of guests, this is an easy recipe to make for a large crowd. 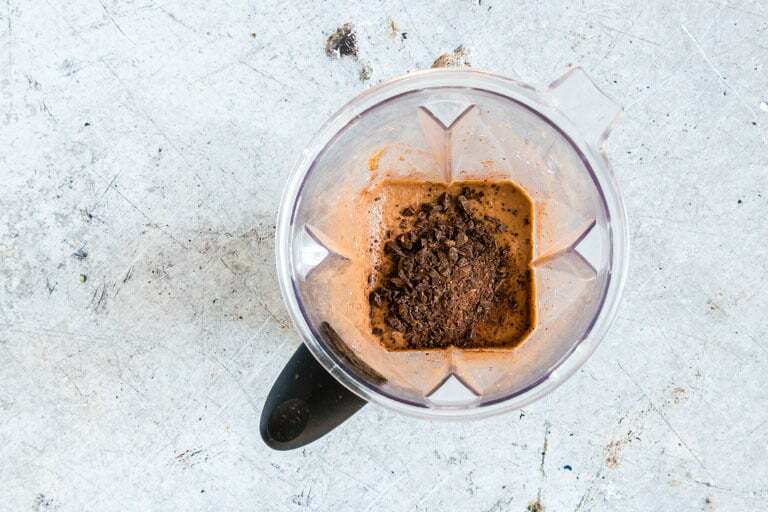 It’s best to make this recipe using a high-powered food processor or blender. 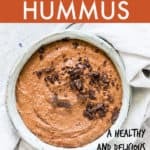 By using one, you avoid the whole ‘chickpea skins in my dessert hummus’ problem and the result is a very creamy sweet hummus. 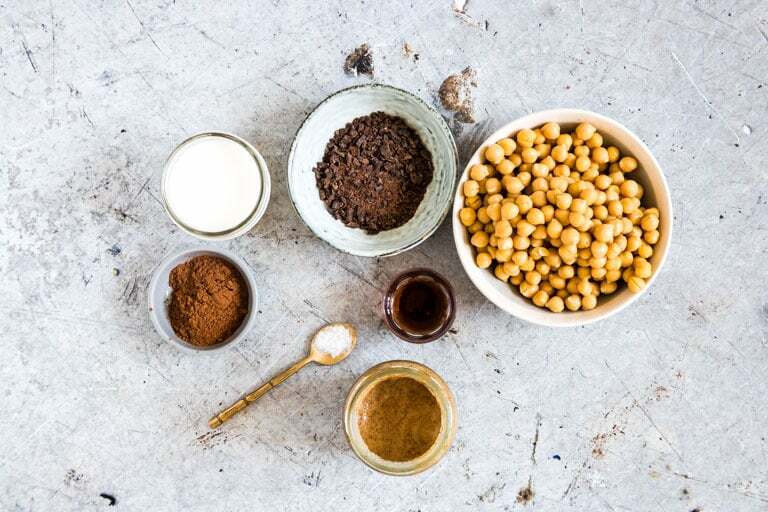 If you don’t have a high-powered food processor or blender, follow the ‘How to Peel Chickpeas’ section below. 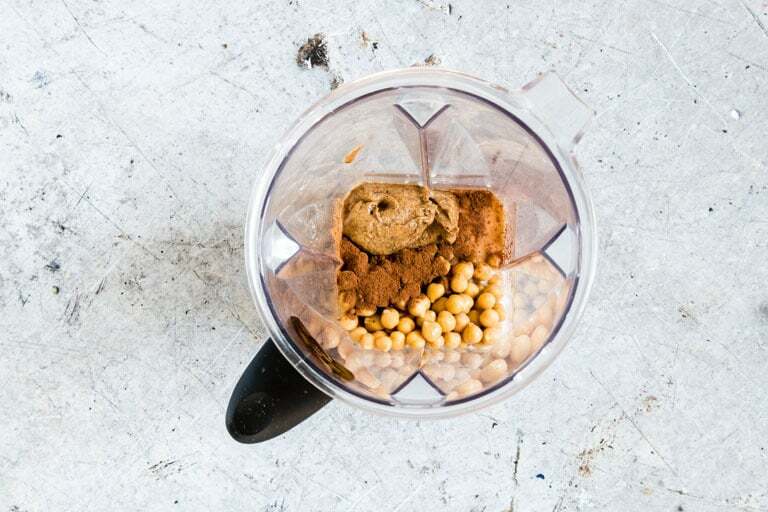 If you don’t have a high-powered food processor or blender, you can still avoid the chickpea skins problem by peeling your chickpeas. If you’re wondering how to peel chickpeas, just take them by the pointed end and give them a quick squeeze and they will pop out of their skin. 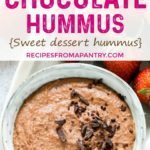 Everyone needs some Chocolate Hummus in their lives. 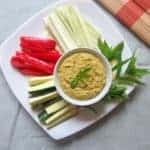 I hope you enjoy this sweet hummus at Easter or anytime you need a healthy treat. Thank you for reading my Chocolate Hummus recipe post. And please come visit again as I continue dreaming up recipes, traditional African recipes, African fusion recipes, Sierra Leone recipes, travel plans and much more for you. 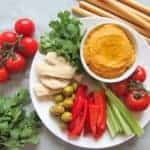 Here is how to make this dessert hummus recipe. Please do try it and if you do make it then please do tag #recipesfromapantry on Instagram or Twitter so that I can pop over and have a look. It is really, really awesome for me when you make any one of my recipes. You can also share it on my Facebook page. 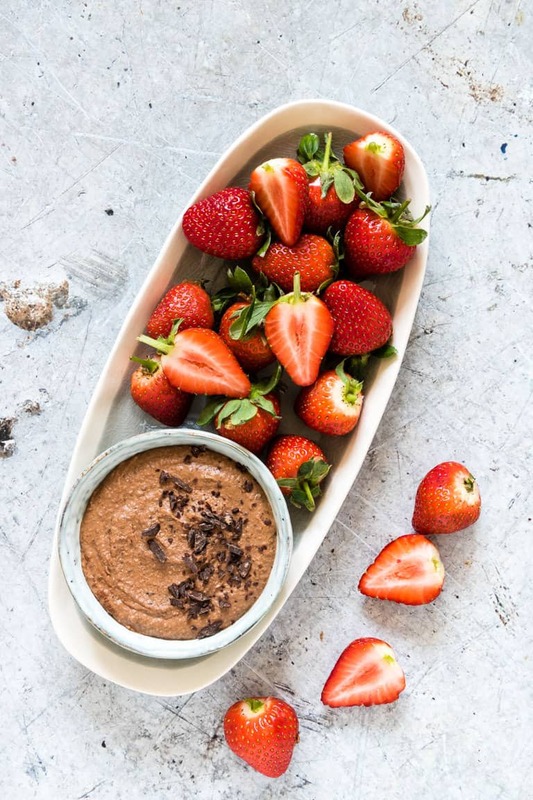 Don't forget to tag #recipesfromapantry on Instagram or Twitter if you try Chocolate Hummus! It is really, really awesome for me when you make one of my recipes and I'd love to see it. You can also share it on my Facebook page. Please pin this recipe to Pinterest too! Thank you for reading Recipes from a Pantry. A chocolate hummus recipe with creamy milk and dark chocolate. Then add in the chocolate pieces and blend into the consistency you desire. If you want your hummus less thick then add in a bit more milk. To peel the chickpeas: Take them by the pointed end and give them a quick squeeze and they will pop out of their skin. You can also make this without peeling them. 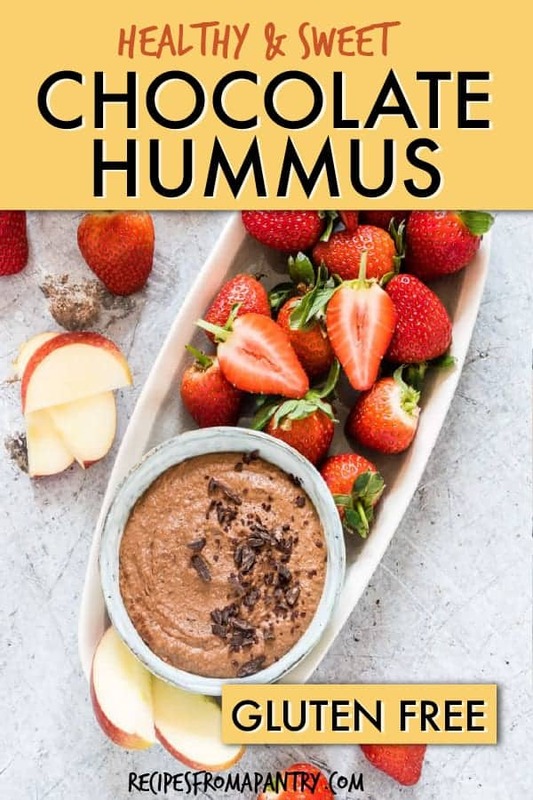 I thought I’d done hummus every which way, but apparently not ~ this looks amazing, and it’s so creative! I bet my kids would love this, they go crazy for all things chocolate. I love how healthy this is. Trying soon! What a fun idea! 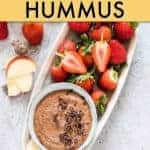 I absolutely love hummus, and a dessert version seems so perfect! Great way to get that chocolate fix while still being rather healthy, yum! Such a fun dessert or snack! 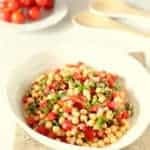 Chickpeas are such a great ingredient for this, aren’t they? I’ll be pinning your recipe for sure! Healthy and delicious and what a great treat! Can’t wait for my kids to try it! Yaye, I hope they like it.